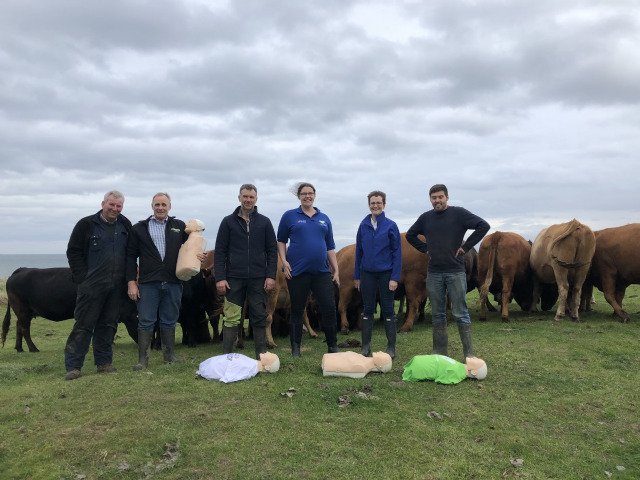 East Neuk First Responders is an independent Community Resuscitation charity, working to imporove the survival and outcome of people who suffer life threatening emergencies in the East Neuk. 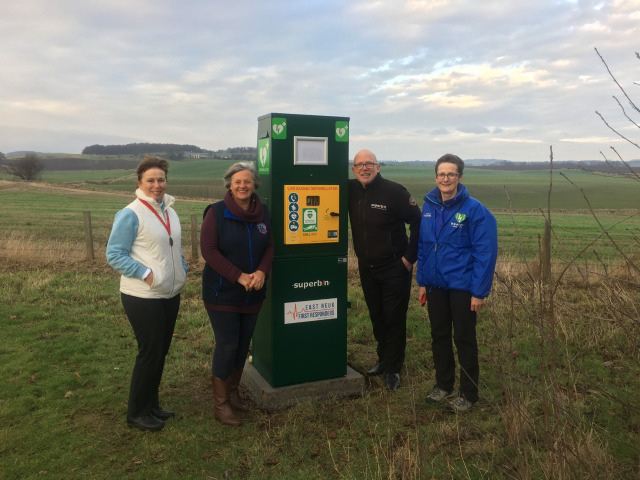 East Neuk First Responder are delighted to have been able to assist in the placing of Scotland's first Solar Defib Superbin. This solar superbin, from inventor and manufacturer Ian Lilley, has allowed the defib to be sited at the clubs highest and furthest away point. Lundin Ladies Golf Club have said "LLGC were delighted to receive an unusual addition to their equipment this week - a solar powered charging unit for our defibrillator. The Club, like most golf club’s around the country, have had a defib for a number of years, but have had concerns about the difficulties of accessing it from the remote parts of the course...Captain Frances McIntosh is delighted to offer the safety and re-assurance of this facility to our members and visitors." 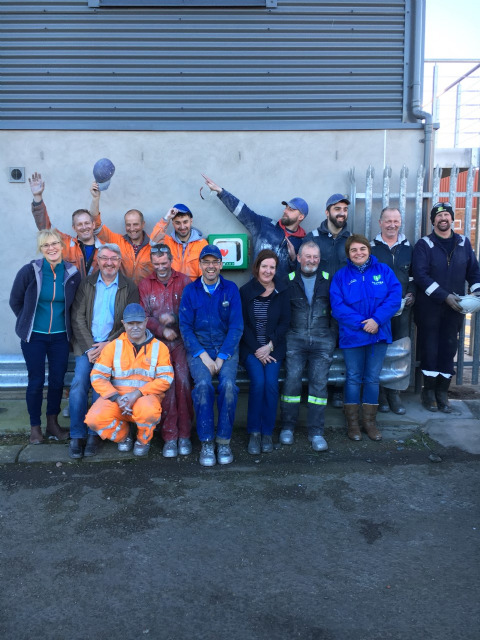 For World Restart a Heart Day 2018, we produced our own version of Carol Smillie's "500 miles". With the help of local businesses, we were able to produce this humorous video with a serious message. East Neuk First Responders were pleased to work with the University of St Andrews School of Medicine and Operation Heart Start to run free 15 minute sessions on CPR and Defibrillator use. 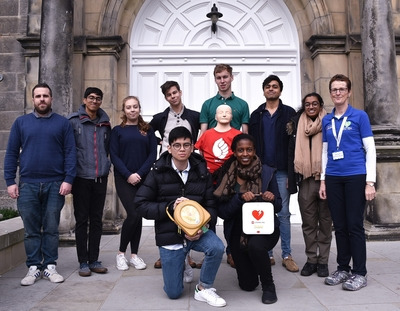 These were held on World Restart a Heart Day 2018 for members of the University as well as the public in St Andrews. 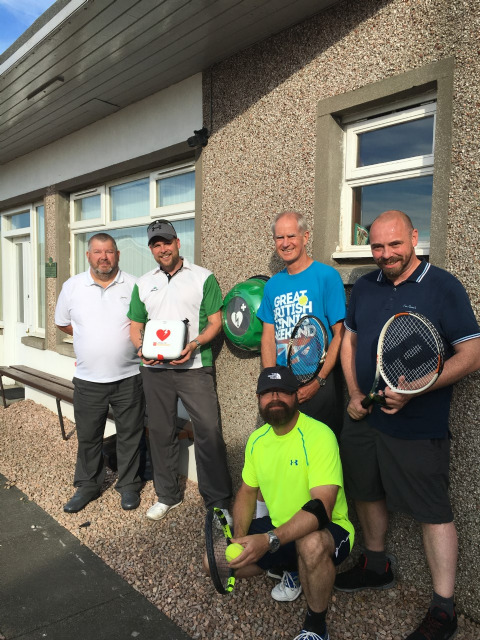 Pittenweem Bowling and Tennis clubs were delighted to have a lifesaving Public Access Defibrillator installed at their club last week. The funds for the equipment were donated by local businessman Jamie Morris. He said yesterday “I am delighted to have been able to donate this vital lifesaving equipment although I hope it is never needed!” Gillian Duncan from East Neuk First Responders who have organised the installation said “every second counts when someone suffers a cardiac arrest, the quicker a shock from a defibrillator can be delivered the better the chance of survival. This defibrillator is now available 24/7 to those using the Bowling Green and Tennis Courts but also anyone in the surrounding area. 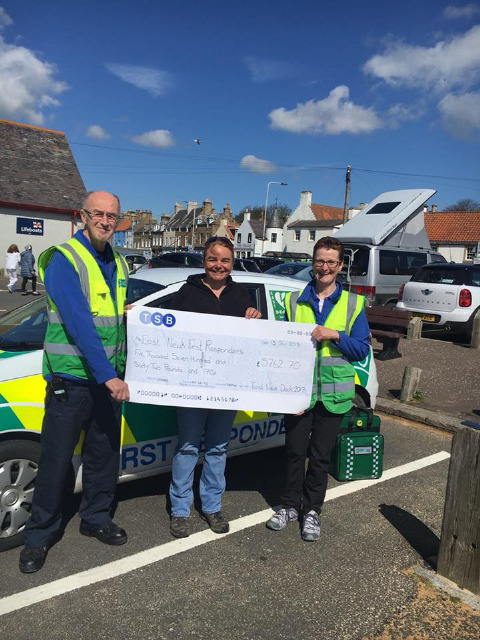 Having been the charity chosen for the funds raised at the East Neuk Dook, today saw the presentation of the cheque from Fiona Corps. With an additional £80.00 cheque added to the total, the amount raised is an amazing £5842.70! This will go to our work within the East Neuk of Fife. We'd like to thank all those involved for their bravery, genorosity and support. We launched our new Lunchtime Lifesaver project, teaming up with the Anstruther Boathouse. 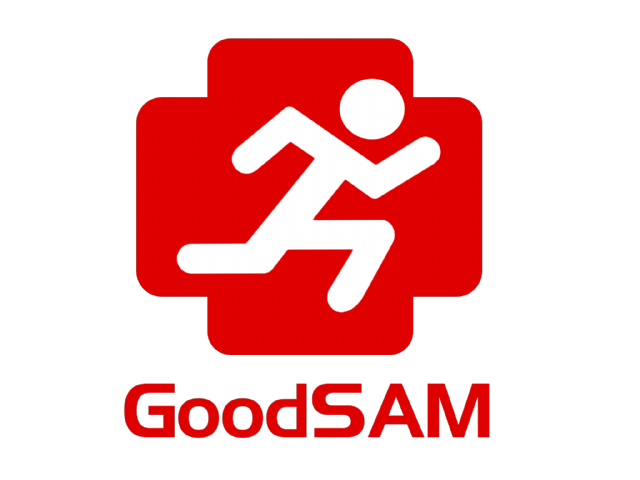 We worked with staff members to raise awareness of the GoodSAM alerter app, and ran a 15 minute lifesaver session, teaching CPR and Defib skills. 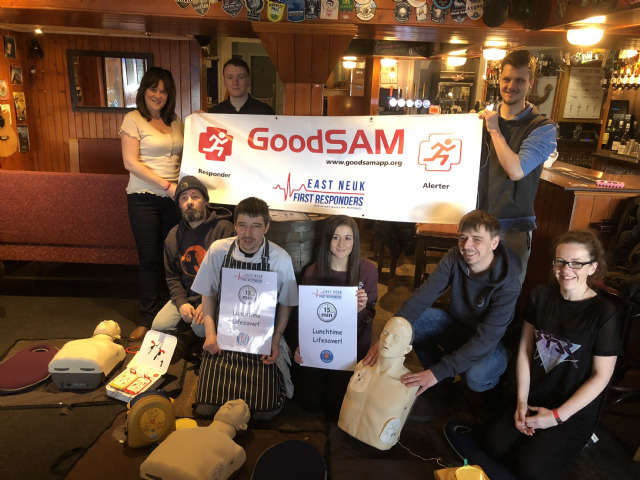 We are continuing to run more sessions with other businesses, increasing the number of CPR ready members in the East Neuk community!